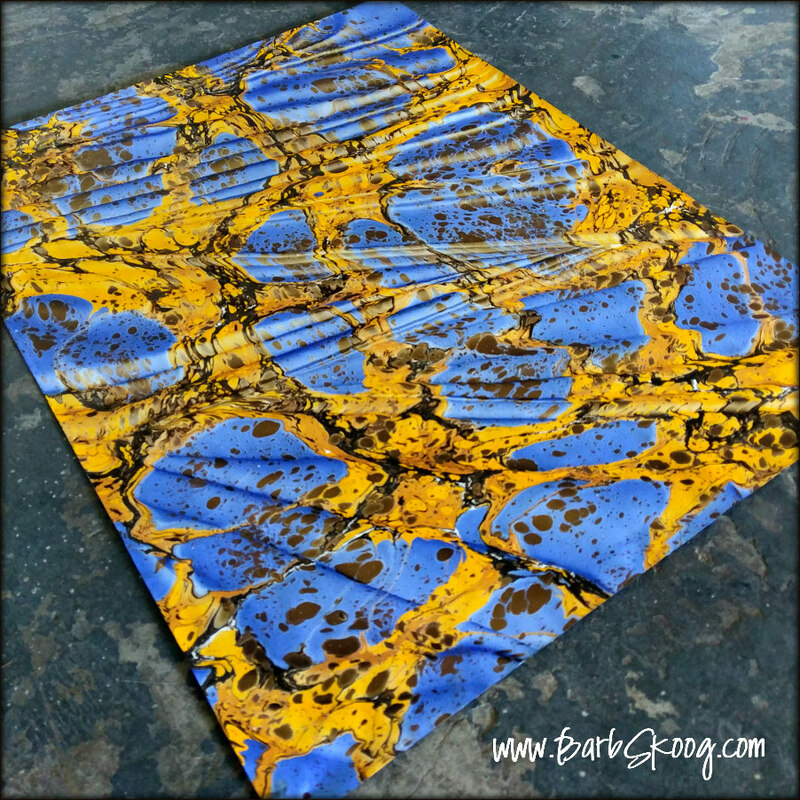 Because marbling has a long and rich history, from its origins in Japan to its evolution in Turkey/Persia/India to its travel along the silk road and into Europe, some of its traditional patterns go by many names. This is one of them. Dating back to the 1600s (and a popular endpaper design in old books), this pattern is usually called French Curl or Snail, though I prefer the Turkish name, Nightingale’s Nest (how sweet is that?!). What I love about this pattern, and most other traditional patterns, is that it can be made using many different tools (stylus, rake, bouquet comb) and in conjunction with many different patterns (starting with any of the five foundation patterns)…making for wildly beautiful variations. And that's the beauty of marbling...you can spend days/weeks/months/years working on the same pattern and never run out of inspiration. There's always more to pursue, more to consider, more to explore. Most people are familiar with this traditional marbled pattern called Nonpareil (which is French for “without equal”). It was quite the popular pattern used in endpapers in 19th-century books. In the technical world of marbling, a Nonpareil is made with a tool called a “comb” and the spacing of the teeth in the comb is 1/4” or less. I have a Nonpareil comb with teeth spaced at 1/8”…but I’ve seen some marblers’ with combs even closer than that! And some marblers even make their own Nonpareil comb where they will vary teeth spacing for their own personal signature mark! 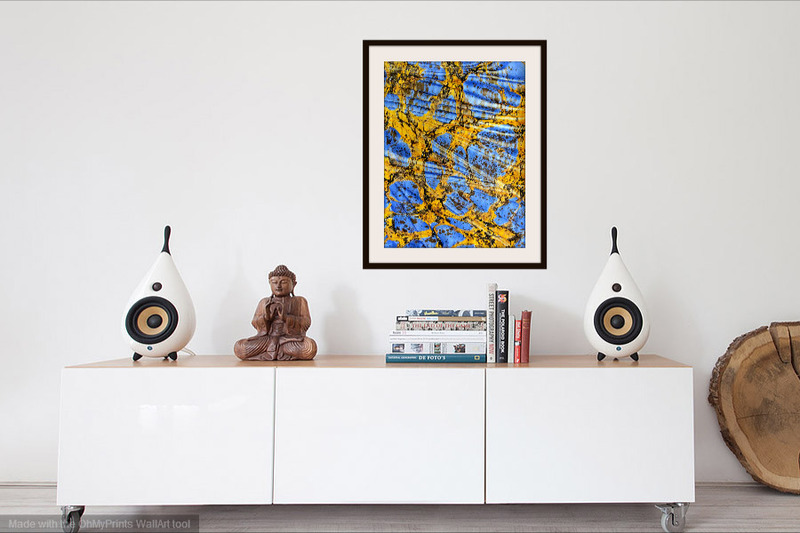 And while the Nonpareil is one of the “basic” foundation patterns in marbling, there is nothing basic about it. The pattern will look very different not only by mixing up comb sizes, but by changing the way it is made: starting with Stones vs. Boulders vs. Bull’s Eye, using a Waved Gelgit vs. a regular Gelgit or a full Gelgit vs. a half Gelgit, or doing it in a shallow bath vs. a deep bath. 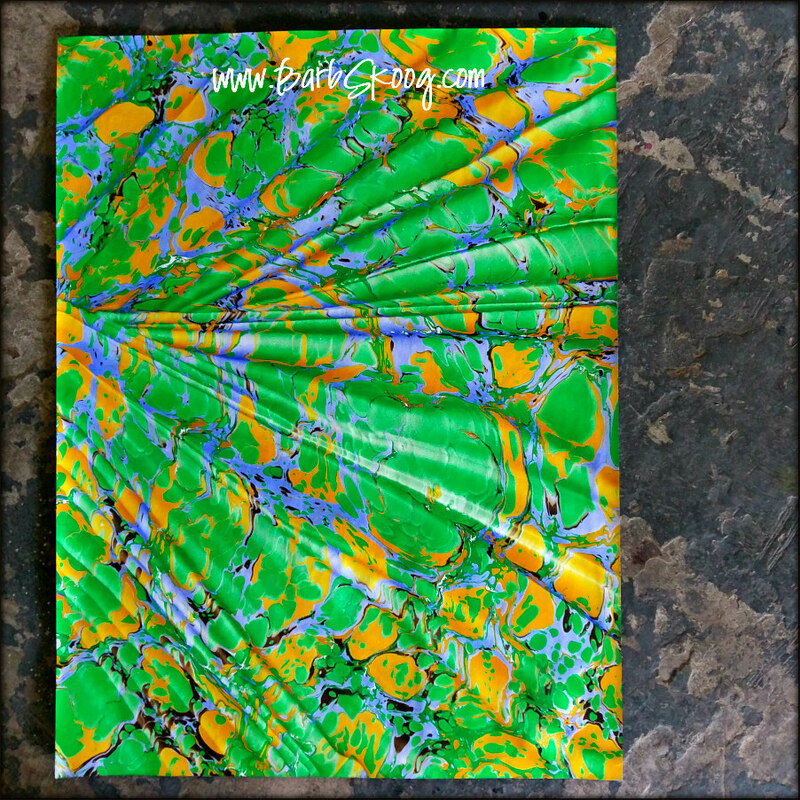 With so many options and possibilities, whatever your mood is, marbling will meet you there. There is just one spot left in my all-day Beginning Marbling class on Saturday, June 24. If you'd like to learn how to make this, and other, elegant patterns, shoot me an email at Cheers "at" BarbSkoog "dot" com.